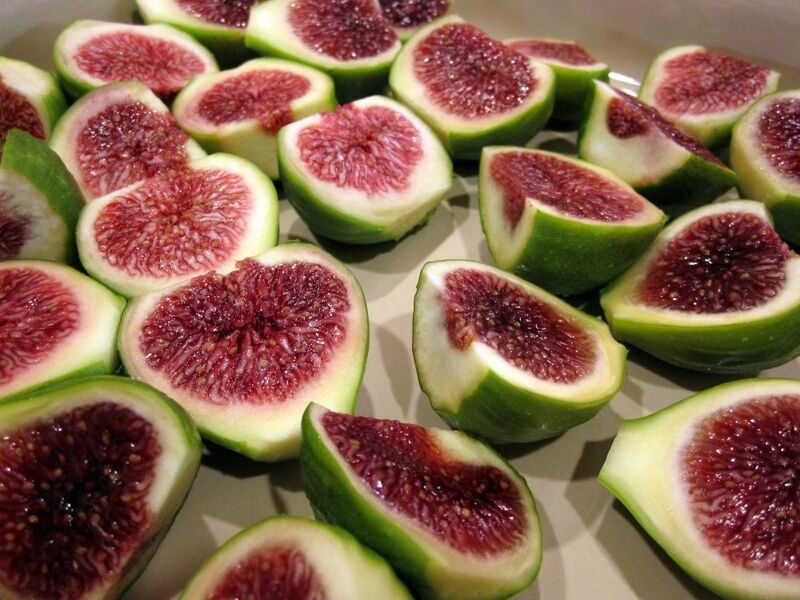 My parents have a fig tree that grows copious amounts of figs during the season. They don’t know what to do with all that fruit! 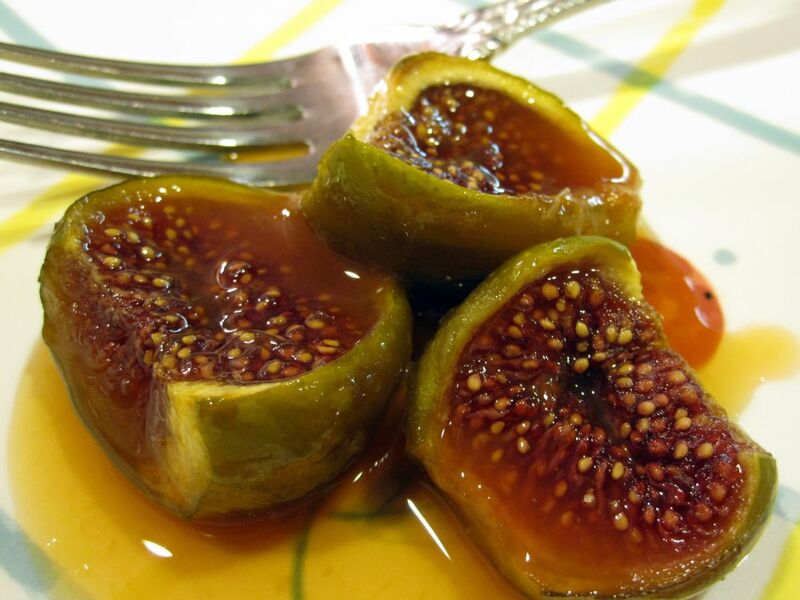 Figs are really expensive at farmer’s markets and grocery stores, perhaps because they are so perishable. And you can’t pick them before they’re ripe because they are one fruit that does not ripen more if sitting out or placed in a paper bag, like other fruits will do. They are an unruly, misbehaving fruit! So let's review: you have to pick them when they’re ripe, and eat them within a few days. Unfortunately, when it rains, it pours, and tons of them are ready to be picked at the same time. 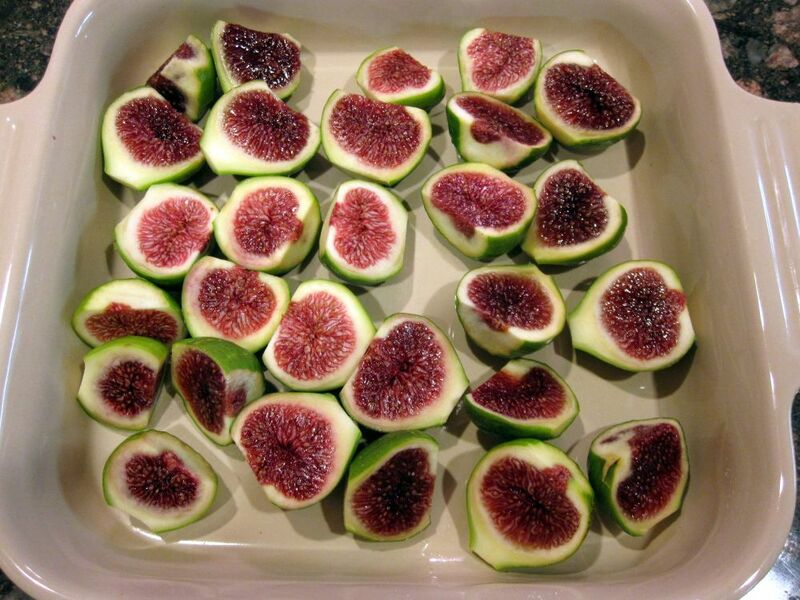 What to do with all those figs? Well, besides eating them raw, or with cheese, try making this Tori Ritchie recipe for Orange-Roasted Figs. My mom is a big fan of Tori's website Tuesday Recipe and so after staring at a giant bowl of figs on the kitchen counter for awhile, she pulled out this recipe that Tori had just posted. 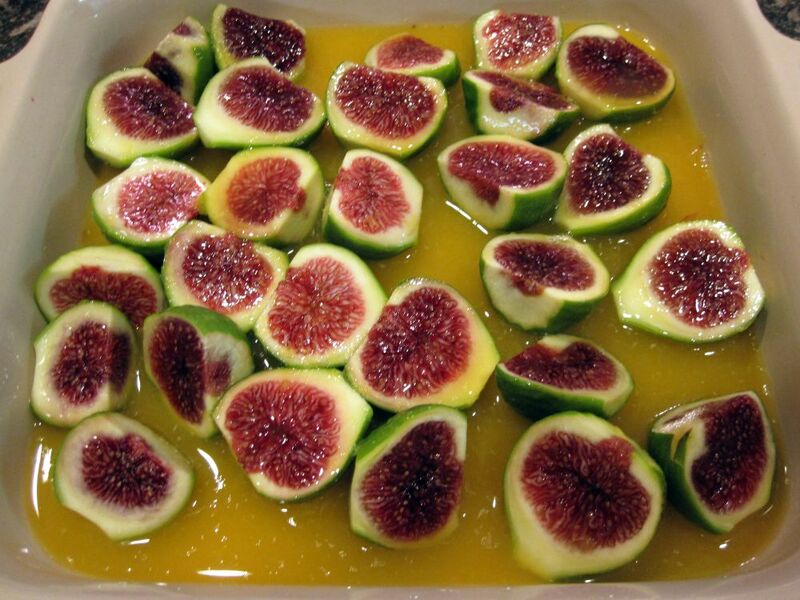 The figs bake in the oven for 35 minutes and take on the flavor of a sweet orange syrup. Soooo good! You can serve this with yogurt for breakfast or with vanilla ice cream for dessert. I enjoyed it with a slice of honey cake. Preheat the oven to 375 degrees F. In a medium sized baking dish (you can use pyrex or ceramic or whatever you want), place the fig pieces, evenly spaced. Make sure the pan has sides since there will be liquid. 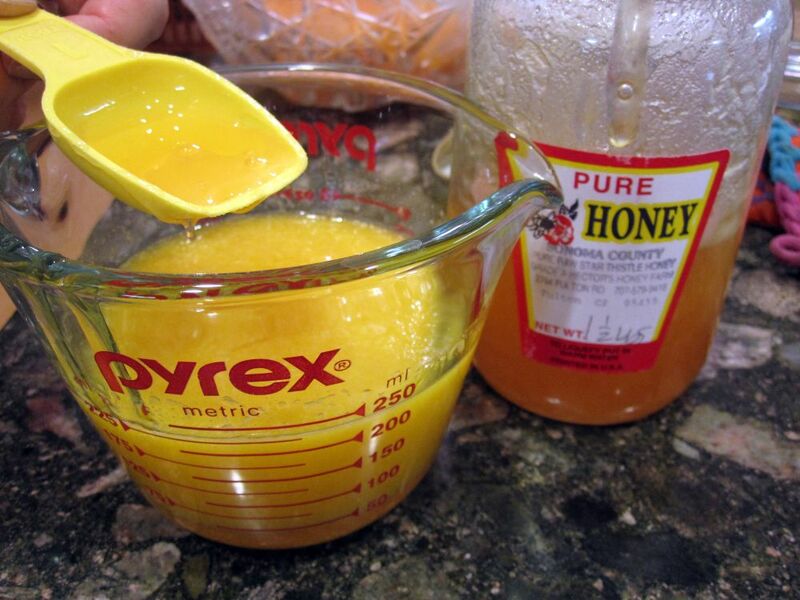 In a small saucepan, combine the orange juice and the honey and stir over medium heat until the honey is melted, about 5 minutes. Alternatively, you can place the orange juice and honey in a small measuring glass and heat in the microwave for 35 to 45 seconds. 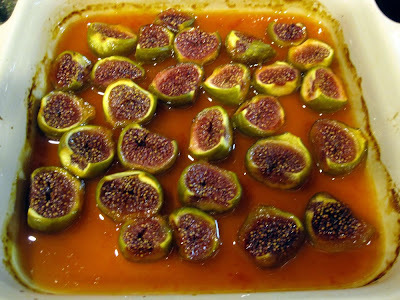 Pour the sauce over the figs and bake until the fruit is glazed and the sauce looks thick, 35 to 45 minutes. The dish will look gorgeous when done! I love your photos. I think figs are magical fruits with beautiful green exteriors and pink interiors filled with little seeds. 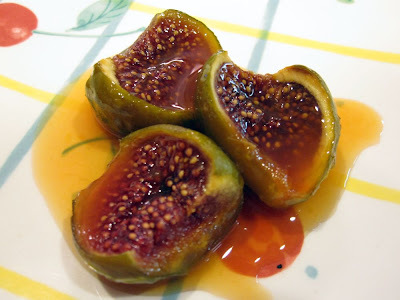 These roasted figs really tasted like a candy. Yum!